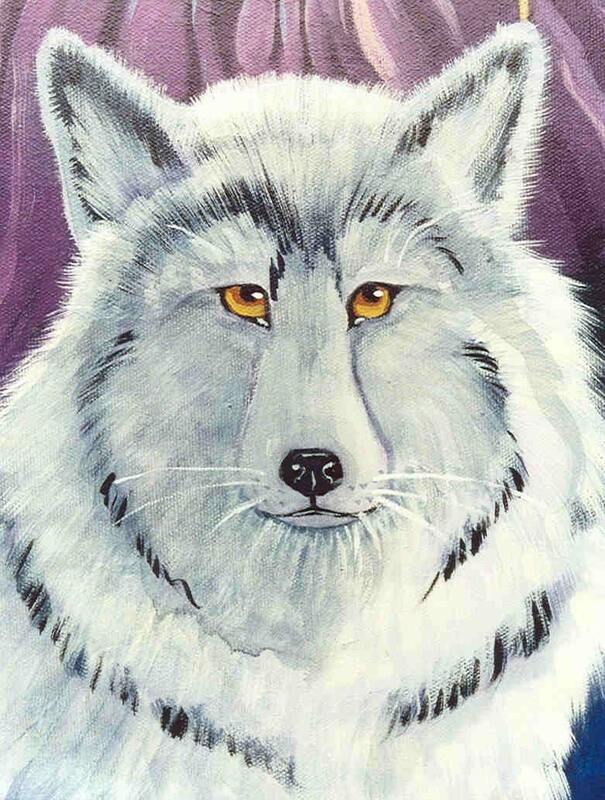 This is a close-up of the wolf in my wizard painting. I think he's strong enough to stand alone, don't you? Each notecard measures approx 4 x 5" and comes with a white envelope in a cello sleeve. The cards are left blank so you can write your own special greeting. SO MAGNIFICENT EACH AND EVERY CARD AND PAINTING. THANK YOU SO VERY MUCH.